As Liverpool prepare to take on Burnley in a must-win Premier League game, Jurgen Klopp was asked by reporters to comment on the Clarets and their manager Sean Dyche. Given that he and Dyche had a huge fight earlier in the season, it was a question aimed at eliciting an impassioned response from Klopp. But this time the German kept his calm and gave a measured response. 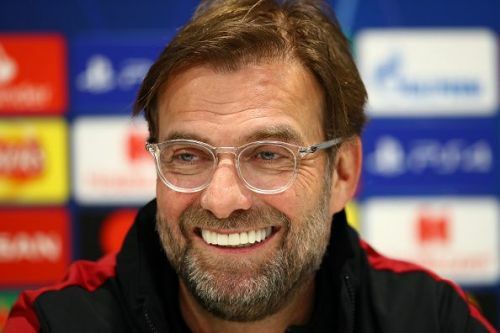 It seems that he has learnt a lesson from his pre-match press conference before the Merseyside derby - where he had mocked Everton, a tactic that backfired on Liverpool. Speaking before the derby, Klopp had claimed: “For Everton, it is like a World Cup final.” The comment implied that for the Toffees this was the single most important match of the season as they couldn’t hope to achieve much else. Or in other words, the claim of having played a role in stopping Liverpool from winning the title would be the sole newsworthy highlight of their season. If this statement was part of any mind games Klopp was attempting, it backfired spectacularly. The Blues were riled up. On match day, the atmosphere at the Goodison was raucous. The players battled for every ball, blocked every shot and ran their hearts out. They were extremely determined not to be outclassed by their rivals and to restore their honour. Liverpool could only manage a point and relinquished the top spot to City. Klopp too wasn’t spared the ignominy, with an Evertonian ball boy sarcastically clapping in his face and asking if he enjoyed the ‘World Cup final’. Yesterday at the press conference ahead of the Reds' game against Burnley, Klopp was asked to revisit his spat with Sean Dyche that happened a couple of months ago. Dyche had insinuated that Daniel Sturridge was a 'cheat', and this triggered a war of words that carried on for a few days after the match. But this time Klopp didn’t bite. He surely would have been wary of making any condescending comments that could potentially give Burnley players an added motivation to play out of their skins with a point to prove. Liverpool take on Burnley on Sunday, aiming to be no farther than one point behind Manchester City, who play Watford a day earlier. Klopp himself will have fond recent memories linked to Watford, whom the Reds thrashed 5-0, and will be hoping for a similar level of performance against Sean Dyche’s men.